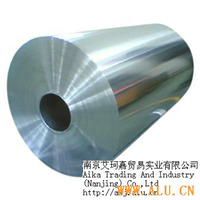 AIKA Trading And Industry (Nanjing) Co., Ltd.
Aikejia Resources Co., Ltd (Nanjing) is an international trade and industry company dealing in nonferrous metals, ferrous metals and mineral products professionally. Founded in Nanjing, the ancient capital with six dynasties, in Jiangsu. Since its foundation, the company has consistently followed the principles of "honoring contracts and standing by its promise", "sincere cooperation<?xml:namespace prefix = v ns = "urn:schemas-microsoft-com:vml" /> <?xml:namespace prefix = o ns = "urn:schemas-microsoft-com:office:office" /><?xml:namespace prefix = w ns = "urn:schemas-microsoft-com:office:word" />and first-class service" and "flexible ways of doing business for various commodities". By taking advantage of the favorable conditions of information, communication, financing in Nanjing, the company has been conducting import, export and triangle of metal products, non-ferrous metals, minerals, hardware and other commodities within bonded areas. Through a wide range of flexible and effective ways and channels, the company has also been engaged in procession of purchased material, compensation business and futures, etc. 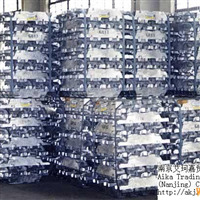 Currently, Main business scope: Alumina, Ironsand, Aluminium Ingot, Copper Ingot, Zinc Ingot, Aluminium Plate, Aluminium Strip, Aluminium Coil, Aluminium Foil, Hedge, etc. The company is developing actively forward the area of copper and zinc. Owing to rich experiences in nonferrous metals, ferrous metals and mineral products, the company has set up favorable symbiosis with government, banks, founded the wide and close trade relationship with mines and smelting factories both at home and abroad, and formed a multivariate structure and widening markets. The company has formed integrated management pattern with the combination of trade and industry, and is further expanding global market with the purpose of realizing long-term goal of diversification and internationalization.